Hailing from its mothership label Circus Recordings, Yousef resurfaces his supplementary outlet Carioca Records with a much more musical approach. 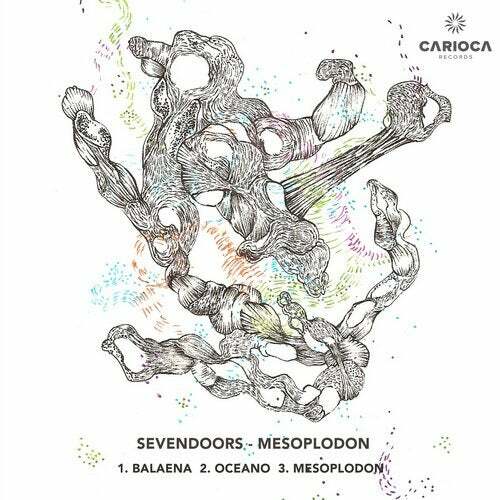 Unlike Circus, Carioca is designed to be less of a reflection of Yousef's dj sets, but rather opening up a wider musical latitude, offering an opportunity to release more hypnotic house and techno, not always aimed the djs, but instead the music enthusiast. Next on the label, is one of the fastest rising Producers at the moment is the elusive SevenDoors. A passion for music is evident, carefully crafting audio with feeling and emotion. SevenDoors is very much a concept, developed over many years and now ready to be unleashed upon the dance community. His track 'Movement Of Whale' (out on Diynamic) was among the Top 10 Tunes at Sankeys Ibiza for the last season. Solomun has been playing it the last year in nearly every set of his and it was the most talked about track of his Boilerrom Set during BPM in Tulum, Mexico. SevenDoor's music has already been playlisted by Pete Tong, Annie Mac, Danny Howard and Toddla T on BBC Radio 1 and rinsed by DJs such as Solomun, Scuba, AME, Gardens Of God and Adriatique to mention a few. After remixes for Icarus on FFRR, Adana Twins & Claptone on Exploited, Simon Doty on Rhetorical, plus original tracks on Diynamic, Get Physical, Eklektisch, Exploited Ghetto and Exploited, he has more original tracks, one free EP plus several remixes - one of them for Nils Penner on Musica Autonomica - in the pipeline. Sevendoors' music leads you into a dreamscape that ripples and cascades like a waterfall over large (DMC World). Belaena: This deep techno offering typifies the meaning of the title, a whale that has plates of whalebone in the mouth for straining plankton from the water. Made deep within the ocean about a whale on a haunting journey. Oceano: There are times i crave the shore, when the tide draws in and i breath deeply. Then I'd blow the ocean back and watch as it draw away and breathed.